The College Station-Bryan metropolitan area is the home to the impressive Texas A&M University System, and the location of our safe and quiet community Oakwood. Oakwood is close to the great things living so close to a large college provides – world recognized hospitals, libraries and cultural institutions, but also gives a peaceful retreat from the bustle of city life. 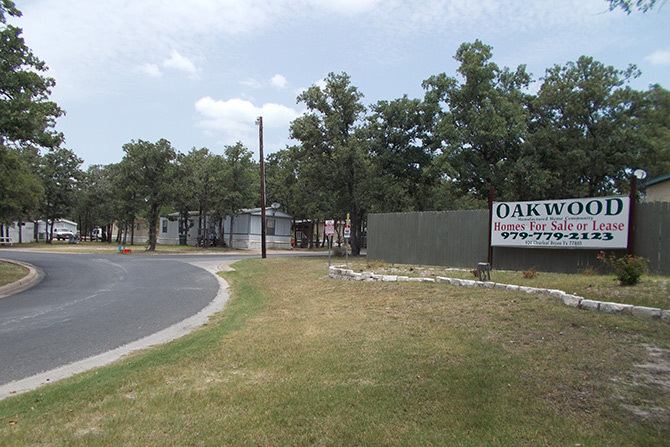 Oakwood will work within your budget, regardless if you are looking for a two or three bedroom home, or your plan is to rent or own. All of our homes are new, or newly remodeled, and we have a rent-credit program that will enable you to purchase the home you are living in. Contact us to talk about the opportunities the Oakwood community offers, and move your family into a beautiful, safe neighborhood today.